Secure online transactions and applications with a PremiumSSL Multi Domain SSL Certificate, enabling up to 256 Bit encryption on web browsers and mobile devices. PremiumSSL Multi Domain ensures that your company name is shown within the PremiumSSL Multi Domain website seal and the SSL Certificate itself, instilling further confidence to your visitors that your website and company is legitimate and of good standing. PremiumSSL Multi Domain is suitable for heavy e-commerce websites that handle critical customer data, such as the collection of personal information and credit card data. When you buy a PremiumSSL Multi Domain Certificate you can be confident that your SSL Certificate will be trusted by all modern devices and web browsers. Great News! Your SSL Certificate will be issued by Comodo® using our fully automated fulfillment system. 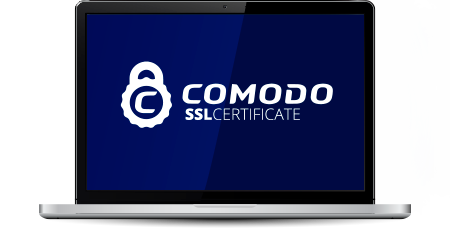 Comodo® are a leading SSL Certificate Authority. Our pricing structure for PremiumSSL Multi Domain is well below the recommended retail price. Buy for multiple years and the cost of PremiumSSL Multi Domain works out to be excellent value at its lowest price of only $415.96 per year. Our unlimited reissuance policy for PremiumSSL Multi Domain means that we will reissue your PremiumSSL Multi Domain Certificate free of charge for the life of the SSL Certificate validity, for any reason. PremiumSSL Multi Domain can be installed easily on any server that supports the use of an SSL Certificate. Trustico® includes the added benefit of Unlimited Server Installation licences and a $50,000 warranty. PremiumSSL Multi Domain has the added option of securing multiple sub domains and domain names by adding them to the Subject Alternate Name (SAN) fields of the SSL Certificate during the ordering process.